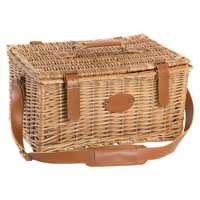 A basket of prestige thanks to its straps, handle and adjustable shoulder strap made of smooth, stitched real leather. 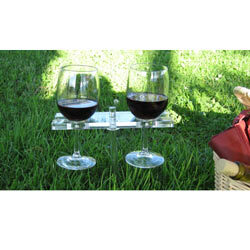 The handle on the top allows it to be carried upright, so your prepared dishes won’t spill. What’s innovative about it? Its coated fabric is easy to clean. Don’t worry about getting your basket a little dirty, because you just have to wipe it with a sponge and it’s taken care of! It will always be perfect for all your picnics. The base forms a large insulated compartment to keep items cool. 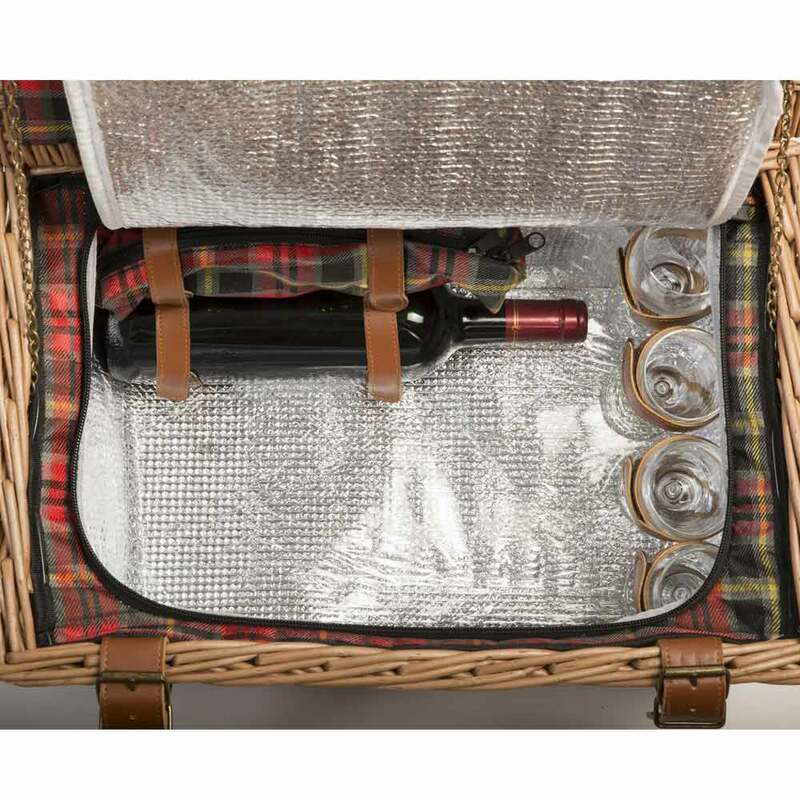 Inside, you'll find glasses held in place by leather straps, and additional leather straps to hold a bottle and keep the kit containing the stylish polished stainless steel cutlery. 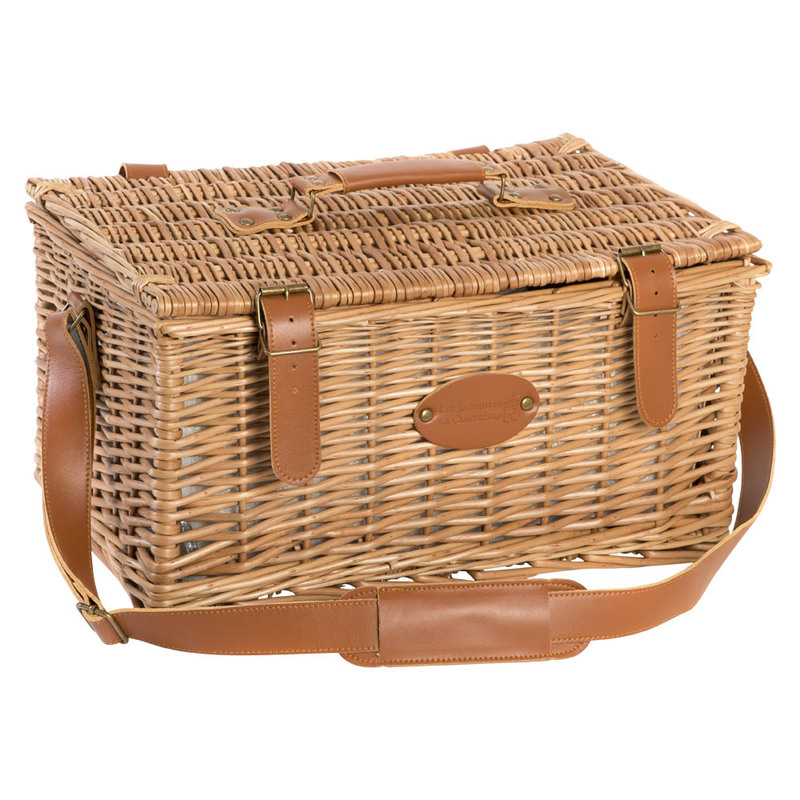 The perfect basket for a chic picnic. 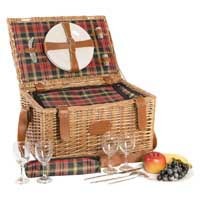 Also available for 2, 4 or 6 people, in different colours. - 4 white ceramic plates (20 cm / 7 ½ in in diameter). The plates are held by smooth, double-stitched leather straps.